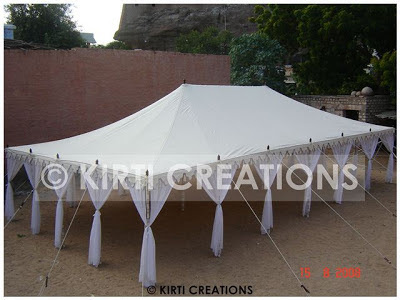 This raj tent is large and comfy, it can be make a room for large number of guests. We use the radiant colors and stylish design in making of this tent. It is water proof and more attractive having supported side ropes. This tent has just simple image. Can you provide us more color in it.